We have been transporting high-volume goods since 1977, making us jumbo pioneers. Today, we provide optimized cargo space for light and heavy bulk goods. The objective is always to achieve the most economical transport of your high-volume goods. In addition to Germany, with a focus on the Rhine/Ruhr to Rhine/Neckar region, we are at home in Europe. 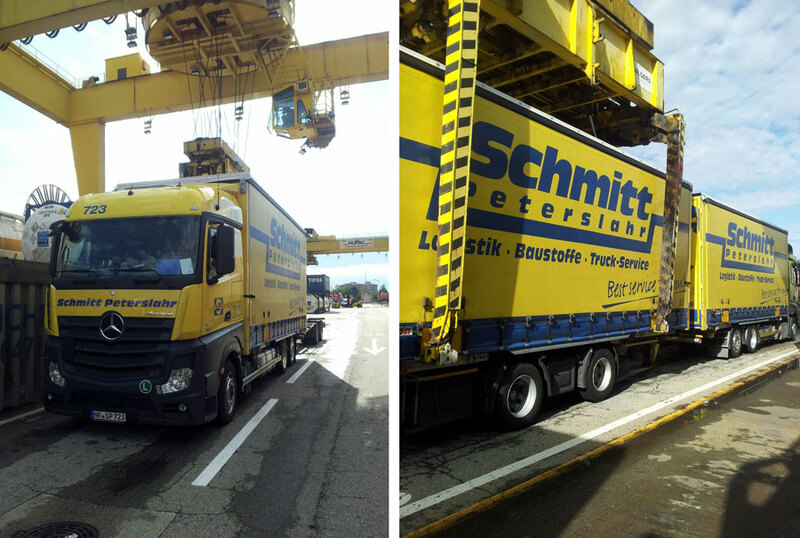 We are specialized on international presence on a day-to-day basis with haulage in Italy, England, the BeNeLux countries and Switzerland. Our trademark is transport of complete and partial cargo loads with uncompromising reliability. Additional advantages you’ll enjoy with us are our extensive, self-owned vehicle fleet for flexibility, BestService with top vehicle technology and telematics. Our vehicle fleet is dimensioned specifically to haul metric goods. Loading and unloading of large related components by crane through the sliding roof – for example machine parts – poses no problems. Transport can be additionally facilitated by special cargo lashing equipment and tarp-covered rear gate expansion up to a width of 3.30 m. A decisive plus for you is the 3.20 m maximum load height. The telematic system integrated in our forwarding software is worth a closer look. This system not only provides 24/7 satellite location and status tracking of our lorries, and thus of your cargo, it also realizes communications between lorry and disposition without transmission losses. This solution gives you the quality standard that currently leads the pack in this branch. Our IT competence is an important part of the package. SP Standard Service FTL/LTL, with jumbo tractor-trailers and standard/open trailers! SP BestService FTL/LTL, with own tractor-trailers and standard/open trailers! 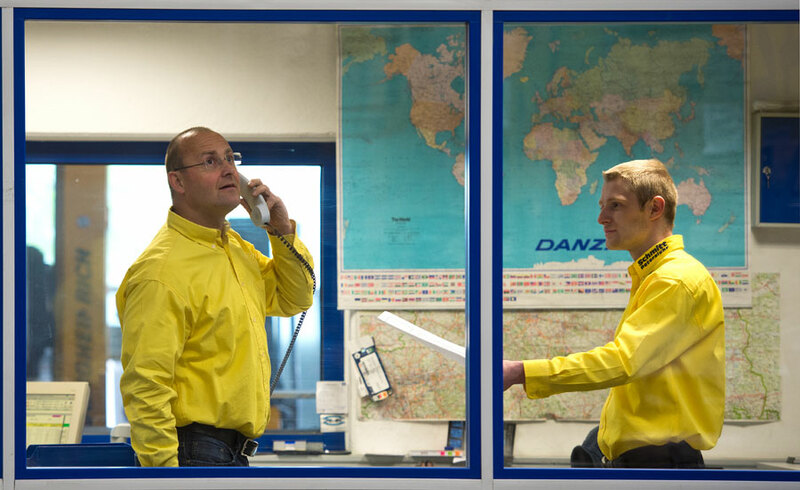 SP SecurityService For time and value-critical goods, with guaranteed performance! ! SP SpecialService Overwidth up to 3.30 m under tarp/up to 4 m on open trailers, crane loading, trade fair service! SP FastService The short-term ad hoc deployment you need! SP Intermodal Green logistics for a small carbon footprint with intermodal transport realization! • Know-how and deadline reliability! > Take advantage of our know-how and deadline reliability! deliveries • Reliable logistics for for this demanding industry! You have your own vehicle fleet for high-volume goods and wish to outsource it or your transport management? Take advantage of our competence! We are happy to provide individual and personal consulting. Need a vehicle, tailored to your needs? Take advantage of our know-how. Special vehicles up to 130 m³! Taken advantage of our 40 years of jumbo tractor-trailer experience! It is a special challenge for us to offer you, a medium-sized logistics service provider, solutions for daily handling of your products. Our innovative thought processes ensure you a logistics solution that is tailored exactly to your needs and demands. With enormous storage capacities and flexible employees we can realize your projects on short notice, whether it’s matter of overproduction or promotional products. With our large, self-owned vehicle fleet, we can put large pallet volumes in storage and/or taken them out of storage and deliver them in the shortest possible timeframe. At our location in Oberhonnefeld, between Cologne and Frankfurt with optimum transport connections about 500 metres from the BAB 3 (exit Neuwied/Altenkirchen), we can offer you 10,000 m² of heated warehouse space. If outsourcing is what you need, we provide individual advice and can take on jobs on your premises or ours! 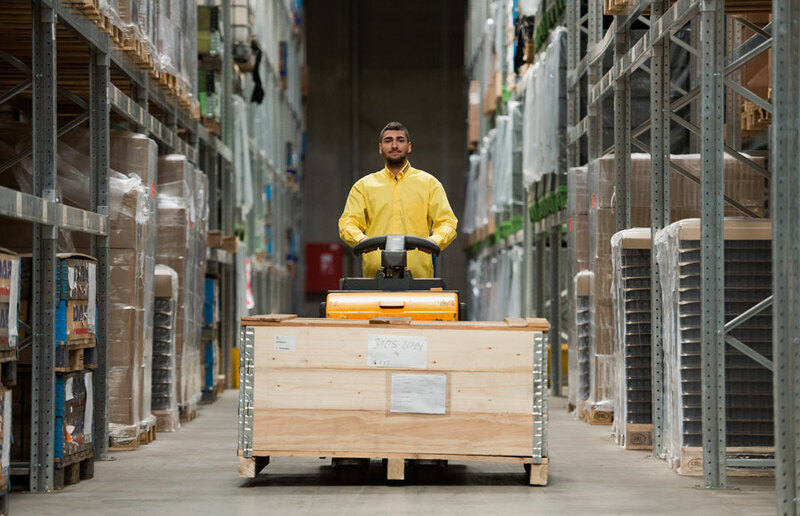 Our block warehouse allows can accommodate block stacking of 18,000 pallets! For flexible and efficient outsourcing, we can provide high-bay racking for up to 4,000 pallets. All warehouse halls can also be rented directly. You may also use your own staff for business operations as needed.